First thing I must tell you is last week I was having a major blonde moment! In my head I had my Peanut Butter Lovers Gift pack giveaway for last Sunday, March 4th, but I put the date on my blog for March 11th. So with that, I am giving away another Peanut Butter Lovers Pack. I ordered a new Peanut Butter and Co cookbook, which should be arriving on Monday and of course I’ll make some Peanut Butter and throw in some Peanut Butter goodies. So if you would like to enter, you have till Sunday 12:00 (PST), and I will announce a winner than. To enter just go here. I have also had some feedback from you that I don’t really tell stories anymore on whats going on in my life. The honest truth is I haven’t had too much to tell. My life has been pretty much work (boring), exercise (which I tell you about) and my blog. So with that all said nothing to report. I’m trying to think of anything exciting going on and my answer is no. What a lame life I lead. However this summer I would like to plan a trip to Las Vegas for a few days with my Hubby. Were suppose to discuss that tonight, so I’m crossing my fingers. I was also asked by some of you how my peanut butter strike is going and it’s going and it’s hard. I haven’t snuck any peanut butter, but trust me, the thought has crossed my mind like a trillion times. A trillion I tell ya. When you give up something, you want it all the more. It was also suggested that I give PB2 a try, which is a powdered peanut butter. Not sure if I’ll like it, I have my doubts, but I ordered some from Amazon today so I’ll try it. If I like it, oh boy I will be so excited!! I know it won’t be the same, but I’m excited to try it in my baking!! I have a feeling that this weekend, I am going to break down and have some PB. Actually I know I will! I have to make peanut butter for the giveaway and I must test it before I give it away. Also, how can I make it and not make a batch for me? I know excuses, excuses! But hey, what can I say? I’m only human! Ok, that’s a lot of writing so far. So let’s get to my recipe for today. I actually made Brussels Sprouts again. I am actually really liking these little buggers. 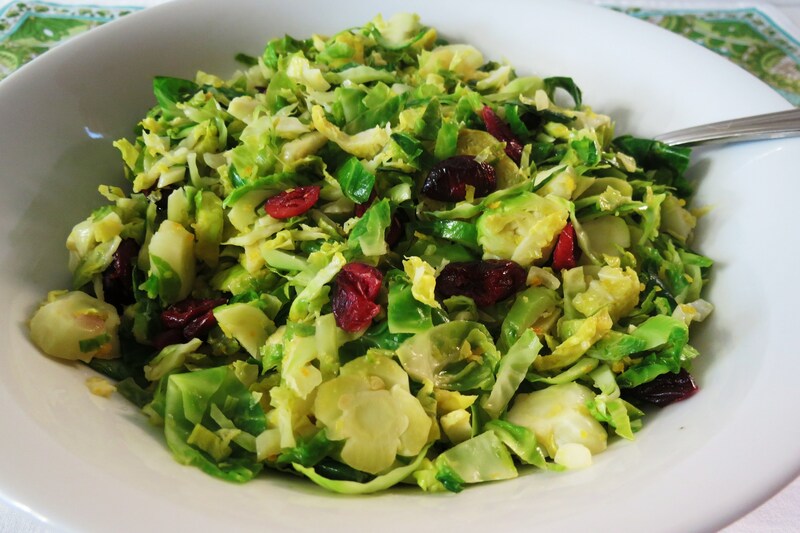 I never liked Brussels Sprouts, never! I thought they were bitter and gross, but there my Husband favorite so I tried and tried again to like them, finally after about 3 tries I really like them. I found ways of cooking them to take the bitterness out of them. Now I seem to make them all the time. There so good! So good I tell ya!! Back in my early twenties, I was so young (sigh..) and really didn’t know how to cook. Everyday after work I would watch a show called the Urban Peasant on a Canadian station. I loved that show! He was a perky guy that always made some nifty looking foods and everyday he would go his table, pour some wine and eat the meals he created. I learned how to chop garlic, peel vegetables to make them pretty and more from him. I missed that show when it went off the air. I believe it took place in Toronto? Did you ever watch that show? Anyway, one of the episodes, he was cooking Brussels Sprouts in orange juice. I knew my boyfriend, husband now, loved Brussels sprouts, blah so I thought I woo him over with Orange Brussels Sprouts. It worked he loved them and now I have him. 🙂 I think that was the last time I made Brussels Sprouts until this past year. I bought a bag of Brussels Sprouts and not sure what to do with them, I than remembered the Urban Peasant, so I took his idea (I don’t recall the recipe) and made Brussels Sprouts in orange juice. I am so happy that I did. That Urban Peasant knew what he was talking about! I used the fresh oranges that my neighbor gave me, some scallions and I threw in some dried cranberries. These Brussels Sprouts were not bitter at all. They were so delish! Matter in fact they are so good, that I had left overs, heated them up in the microwave and they tasted just as good the next day as the same day I made them. I finally discovered, or should I say re-discovered a recipe that I love!!! In a skillet add olive oil and shallots, cook for about 30 seconds, add brussels sprouts and saute until cooked, about 5 minutes. 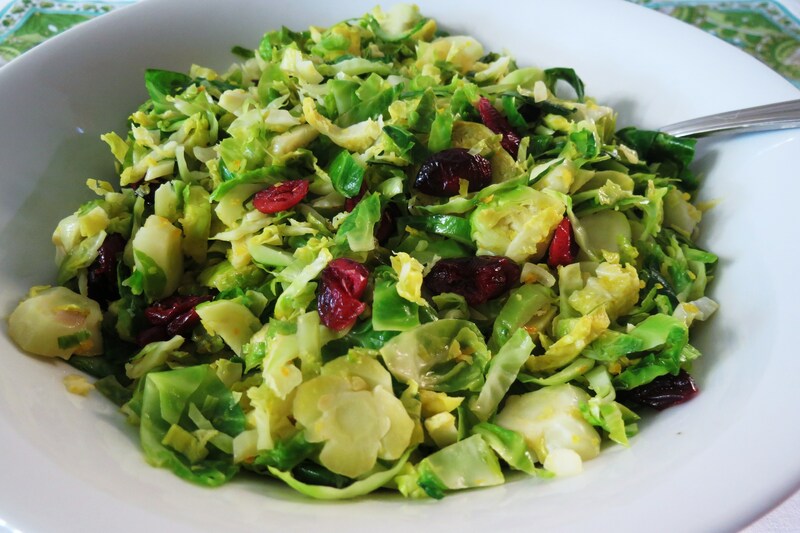 Add orange juice and orange zest, stir until brussels sprouts are coated with juice. Place in a bowl and toss with fried cranberries. I served the Brussels Sprouts with Trader Joe’s already cooked Pot Roast. I really wish I took a picture of the packaging. It was unbelievable! My Husband asked how I had time to cook pot roast and I told him 3 minutes in the microwave and it was done. He was like what? I told him it was Trader Joe’s brand it was already cooked. He couldn’t believe it! He asked again what was the name brand, and I’m like “HELLO” Trader Joe’s silly! Where else do I shop? Duh! If you go there you have to check out the pot roast! it’s 190 calories for 3oz. and it’s located in the refrigerated meat section. It’s so good. I normally don’t care for foods already cooked, but this one will definitely make a rotation in dinners. You can’t beat 3 minutes to cook pot roast. So check it out!! I want to remind you to enter the Peanut Butter Lover’s Giveaway, just go here. Also, as you know I was nominated for Healthiest Eating Food Blog on Fitness Magazine and would love it if you voted for me. So far I only have 31 votes, kind of stinky, but I am honored that I was nominated. To vote for me, just go here. I also want to thank Kelly from Eat Yourself Skinny for spotlighting me today! You’re a wonderful Sponsor and I am very happy to have met you! Thank you for all of your hard work. Check out Kelly’s blog, Eat Yourself Skinny. Just noticed that yesterday’s Lemon Cheesecake knocked my Chicken Fingers off my top 5! Wow! They are good, so check them out!! Hey out of my top 5, 3 of the items are lemon. Funny! I guess you guys like lemons! I only recently started to like brussels as well. Great idea to use orange. Love PB2! I’m not going to lie and say it is totally the same as regular peanut butter but it is a fantastic substitute! I wrote a blog post about it – if you are so inclined. 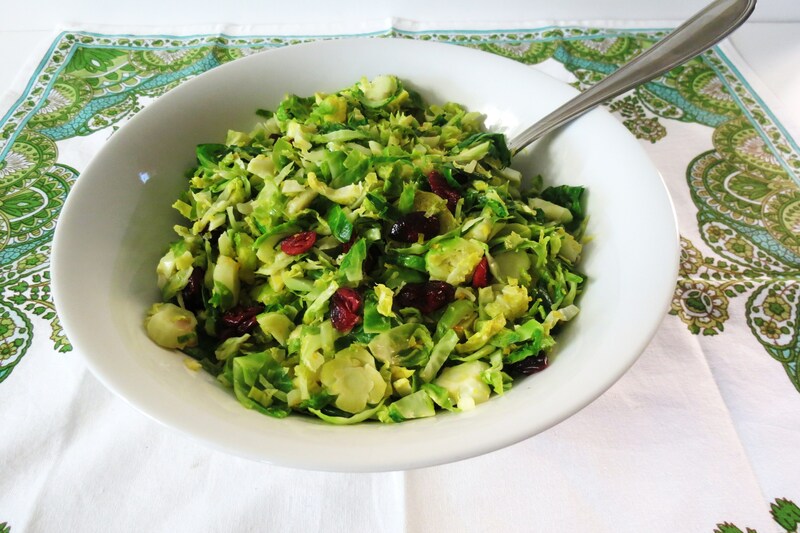 Now I know how to get my family to eat brussels sprouts! They love oranges so this is a dish I can’t wait to make them. Have a wonderful weekend Jennifer! Hi Laura! Have a great weekend too!!! This is such a creative, vibrant and I bet delicious salad Jennifer! Love the flavors you used here. Thanks for sharing! If you try it, let me know what you think. 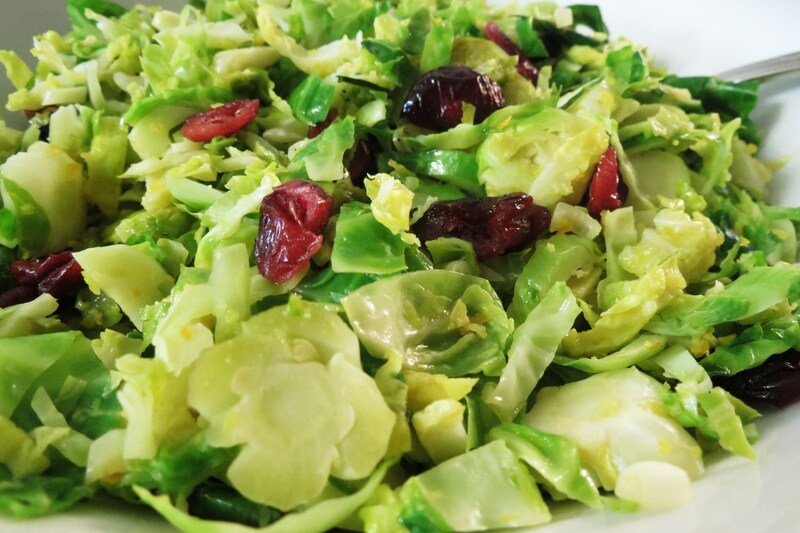 It took me 38 years to discover I like Brussels sprouts. The orange really takes the bitterness away and I like slicing it rather than eating a little ball. I can’t wait to see what you post from baking today! I didn’t do anything exciting yesterday and i have no plans for today. Wondering if the rain is going to hold off? Have a great rest of the weekend!! Looks delicious! 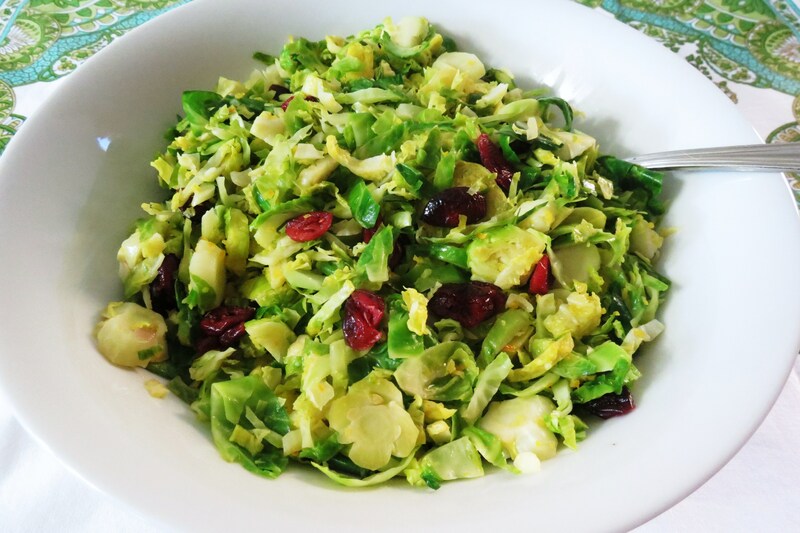 I have just now learned to like Brussel sprouts and am excited to find out about new recipes. Thanks for sharing, and good luck resisting the peanut butter! Broke down and had Peanut Butter today! I just had too!! 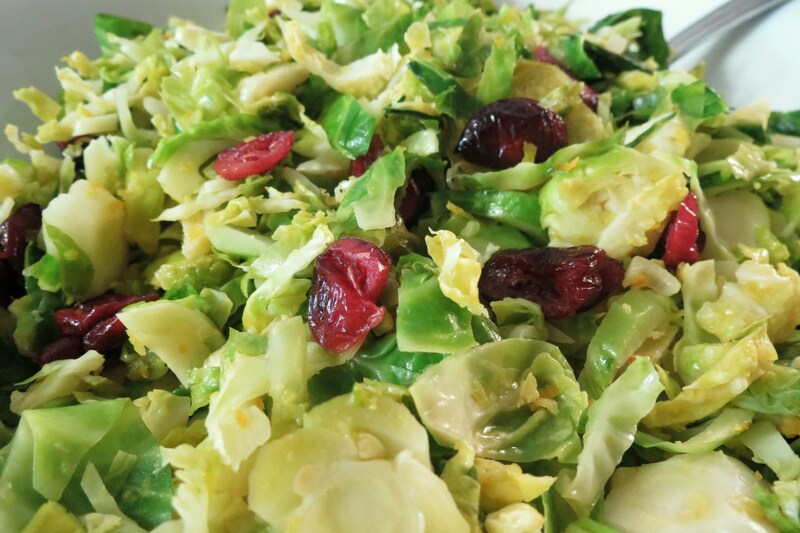 🙂 You should try this recipe, the sprouts are not bitter at all!! I love that! I also liked them chopped up, rather than whole. I found your blog through Allergy Free Wednesdays. I’ve never heard of cooking Brussels in OJ but I’m sure going to give it a try. Thanks for sharing! Your welcome, thanks for having me! The orange gives it a great taste without being over baring!! 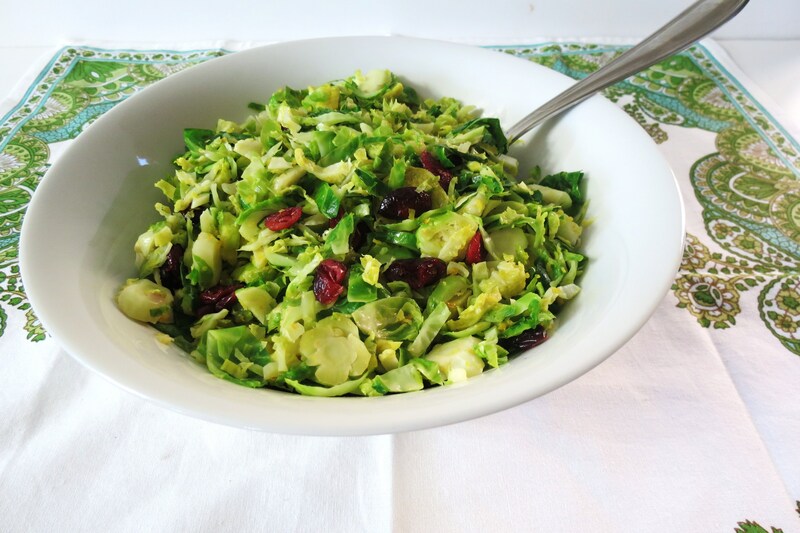 Thank you for sharing your recipe with us this week on AFW! Be sure to check back next week for reader favorites and hostess picks. Have a great week! P.S. Where do you live in Northern Cali? I live in Davis!